Container Java API: A Java API to start/stop/configure Java Containers and deploy modules into them. 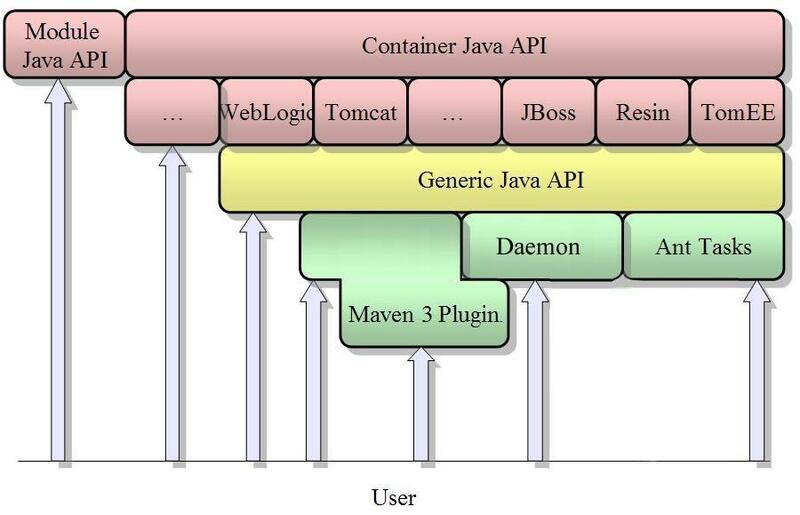 Generic Java API: A Java API that sits on top of the Container API but allows writing generic code that works with any container. It consists mostly in a set of Factory classes to instantiate Container API objects by name. The Container is the top level interface wrapping a real physical container. Cargo supports local and remote containers. A Container is composed of a Configuration. A Configuration tells Cargo how the container is to be configured (whether it should create a standalone setup, whether it should be based on an existing configuration, etc). 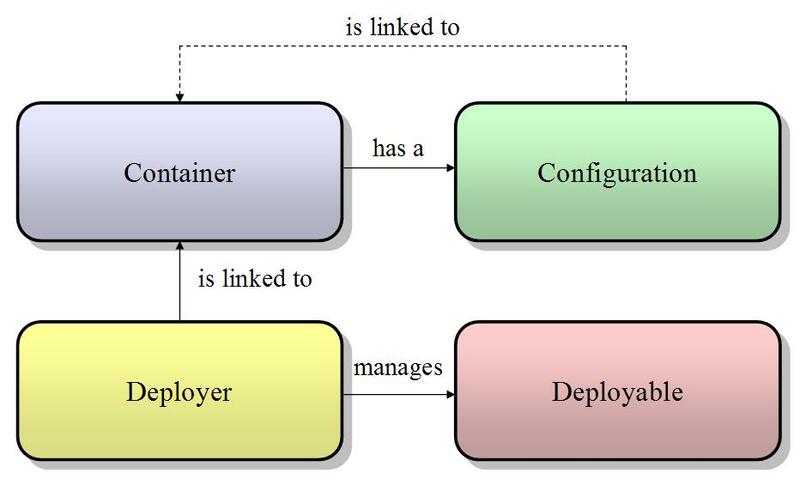 A Configuration can be configured to install Deployables before the Container is started. You can use a Deployer to hot-deploy Deployables (i.e. after the Container is started). Deployables are archives to be deployed in the Container. They are WAR, EAR, EJBs, etc.